Can Austin support a commercial raceway? Home › Forums › Slot Car Talk › Comercial Track Locations & Reviews › Can Austin support a commercial raceway? This topic contains 47 replies, has 9 voices, and was last updated by BarkingSpyder 1 week, 3 days ago. That’s really impressive! I love seeing the progress you’ve made. It’s looking fantastic. Can’t wait to run there. I don’t know what its like to run in a conditioned space that has real lighting. Thanks for the posts. Its fun watching it come together. This reply was modified 7 months, 3 weeks ago by porsche917. Love the carpet maybe my car won’t get so beat up when I go flying off the track. OK, now I’m really excited! 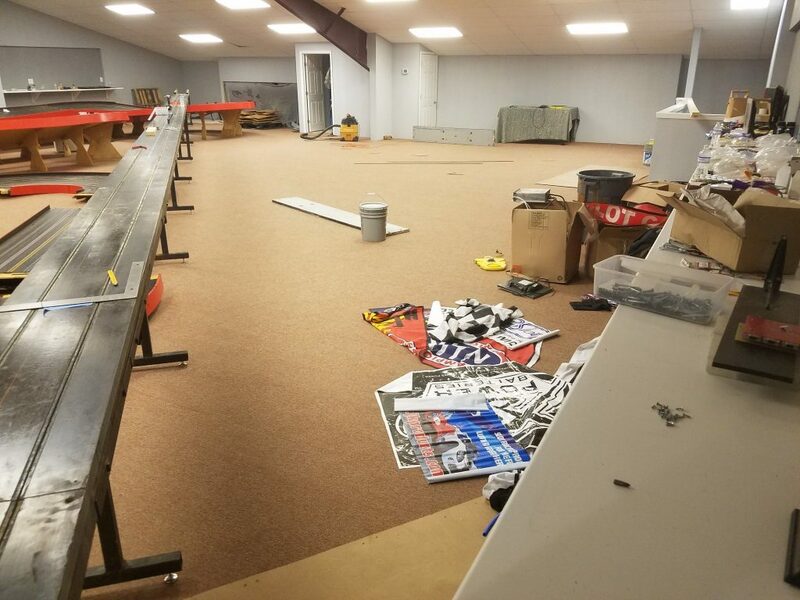 The left half of the room holds the kingelman and a small oval the right half will hold a future flat track. Wow! That is looking great. I can’t wait to run there. I am looking forward to seeing the flat track, other than the long one with no turns. Tom – looks great! I am getting ready by refreshing the frame-solder on my funnycars and replacing the sponges on my flexis. BTW – what are you using for a ‘sand-trap’ on the strip, (some people use a bag or a net)? Wow! Looks great Tom. Until ASCC formed, slot cars were a solo hobby for me. I had my own tracks in the Sixties–there were no commercial tracks around. I was not part of the wing car racing in the Seventies and Eighties, so I have not had the opportunity to race much on big tracks. Looking forward to it! 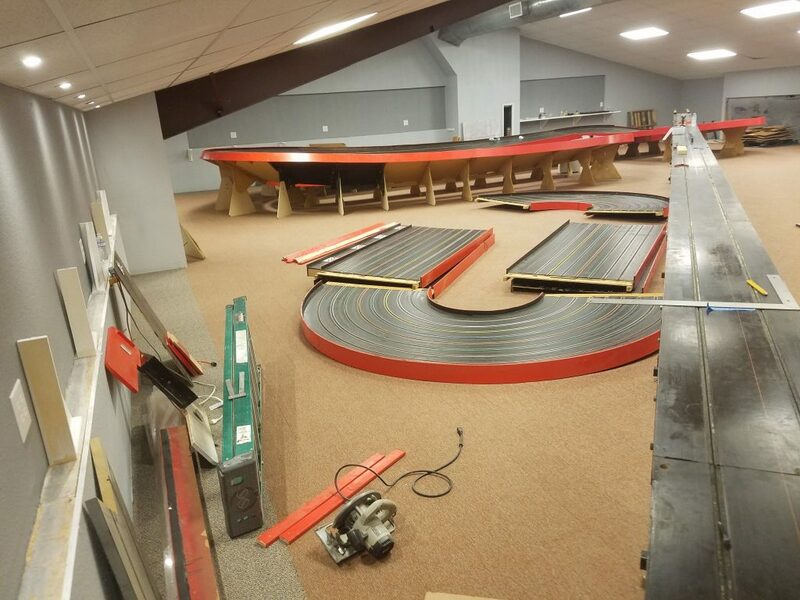 So, what was the result of the trip to Capitol Slot Cars on Sat Dec 15? They took a lot of measurements, cant wait to see what they come up with. This reply was modified 3 months, 3 weeks ago by tomshaffer. Tom, looks Great! 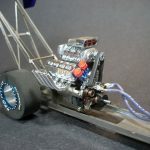 I am doing some fresh solder on my 1/24 drag cars to get ready, as well as a Flexi and Wingee (mass of a wing-car and thingee) for trying all the tracks out. 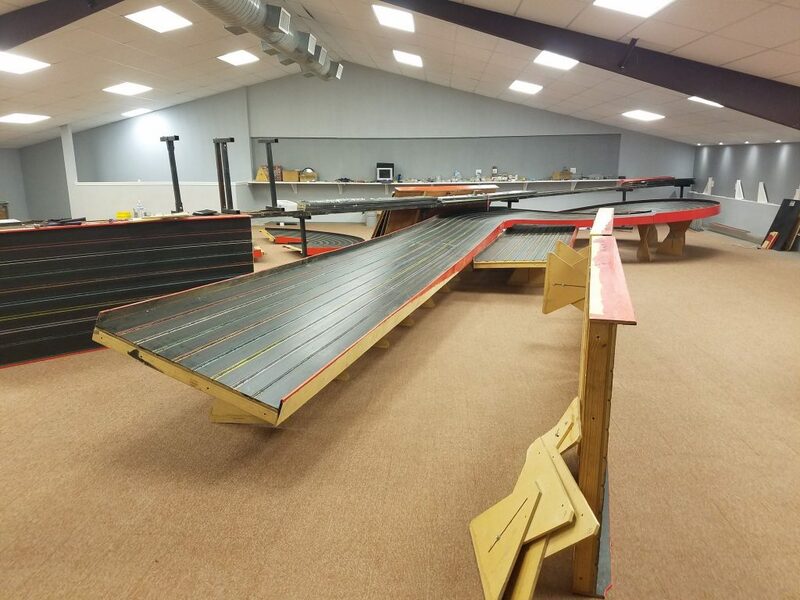 –Just curious, what will be your “sand-trap” for the drag strip? Some people use a nylon bag, others a net, other a foam trap. –Are you using a single power-supply for all lanes, or splits (1 ps per two or three lanes?) For the strip are you using a battery system with 16volts or a single power supply? –Are you thinking about leagues or ad-hoc races, or simply renting track time until interest grows?